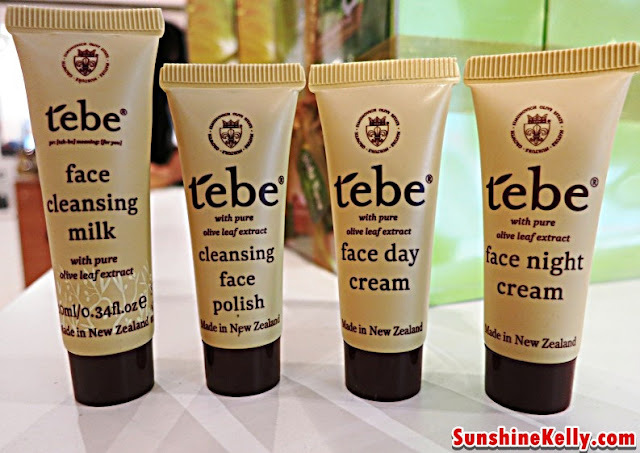 I received a pack of tebe travel kit that consist of tebe Face Cleansing Milk, tebe Cleansing Face Polish, tebe Face Day Cream and tebe Face Night Cream. I begin to like this skincare range because it is very moisturizing and suitable for my skin. The product does not contain any fragrance so it smell like olive and coconut. The texture is cream type not fluid. I think is good for dry skin type. It help to cleanse without stripping the skin natural oil. A gentle, milky cleanser that helps remove your make-up while toning your skin and protecting it from dryness. Containing cocoa butter known for its emollient properties. This Day Cream doesn’t not have SPF, it is just a moisturizing and nourishing cream to hydrate and revitalize our skin. Combining natural plant oils, this light, antioxidant rich cream leaves your skin feeling smooth, soft and conditioned all-day long. Containing calendula, an extract known for its softening properties.